César Paternosto graduated from law school in 1958 and attended fine arts classes at the Universidad Nacional de La Plata until 1961. Between 1960 and 1961, he was a member of the group Si, which gathered together the first generation of Argentinean Informalismo in this city. He exhibited paintings inspired by pre-Hispanic art at the Galería Rubbers (Buenos Aires, 1962) and La Casa del Arte (San Juan, Puerto Rico, 1963). Archaic matter and symbols characterized his work during this period, though by the time he presented an exhibition at Galería Lirolay (Buenos Aires, 1964), his work showed a preference for geometric forms. Even so, he continued the exploration of various media and the use of irregular lines, a style he described as “sensible geometry.” This was clearly illustrated by the works of the series Globos mágicos, in which he glued metallic papers to the fabric and used oil paint squeezed directly out of tubes. Shortly thereafter, the geometric forms became more defined compositions, incorporating curved bands with more contrasting colors. After displaying these works in the Galería Bonino (Buenos Aires, 1966), Paternosto moved to New York. 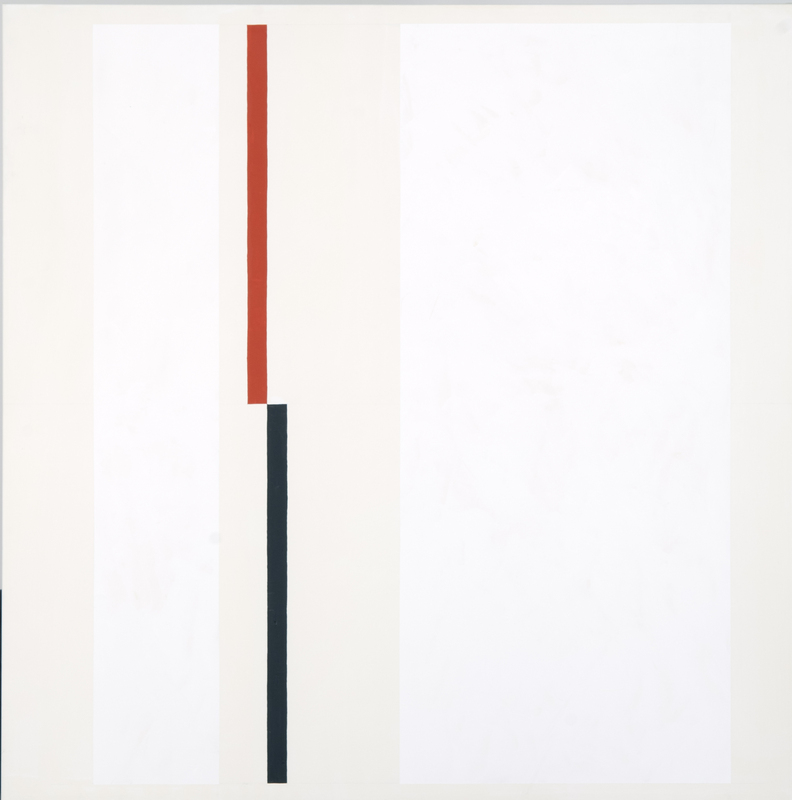 He began to use acrylic in 1967, and, in 1969, Paternosto began painting the lateral edges of his canvases while keeping the front white or monochromatic. His works acquired a three-dimensional character that required the movement of the observer to perceive their full effects. 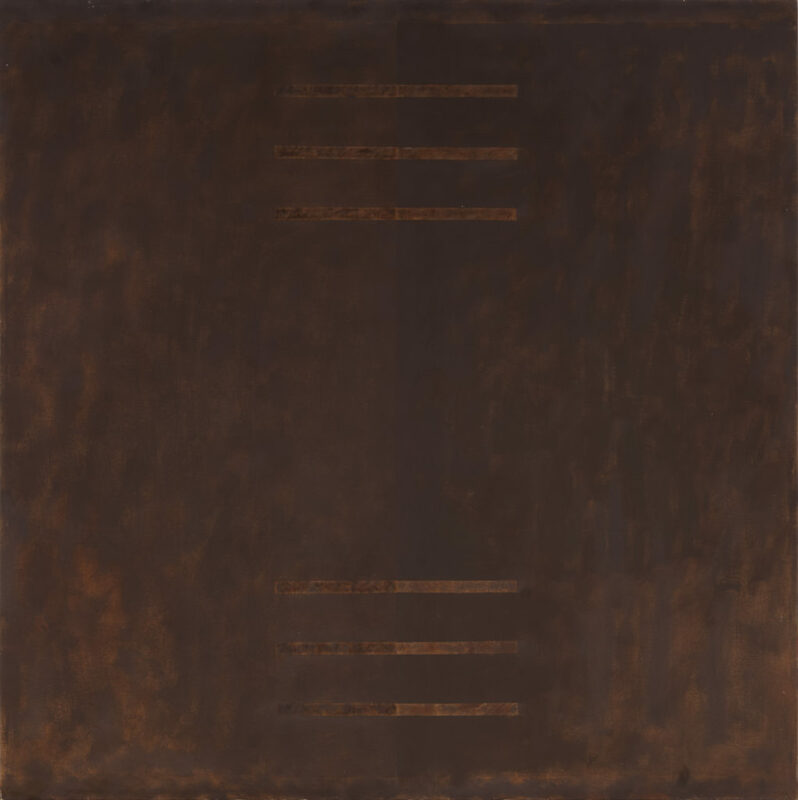 In 1970, he exhibited his new works at AM Sachs Gallery (New York), and the following year he showed them at the Galería Carmen Waugh (Buenos Aires). In 1972, his pictorial development focussed on modular combinations through “wall installations”. He tavelled to to Europe and exhibited his new work at the Galerie Denise René, in Paris. At the end of the 1970s, Paternosto traveled to several Latin American countries to study the geometrics and chromatics of pre-Columbian sculpture, ceramics and textiles. He visited the north of Argentina, Bolivia, and Peru in 1977 and 1979. In 1977, he began mixing acrylic with marble dust. The color terra cotta dominated his palette, while themes and symbols inspired by pre-Columbian art dominated his works. During the 1980s, he presented numerous exhibitions, including important retrospectives at the Center for Inter-America Relations (New York, 1981), the Foro de Arte Contemporáneo (City of Mexico, 1986), and the Fundación San Telmo (Buenos Aires, 1987). He also began to publish the results of his research on pre-Columbian art. 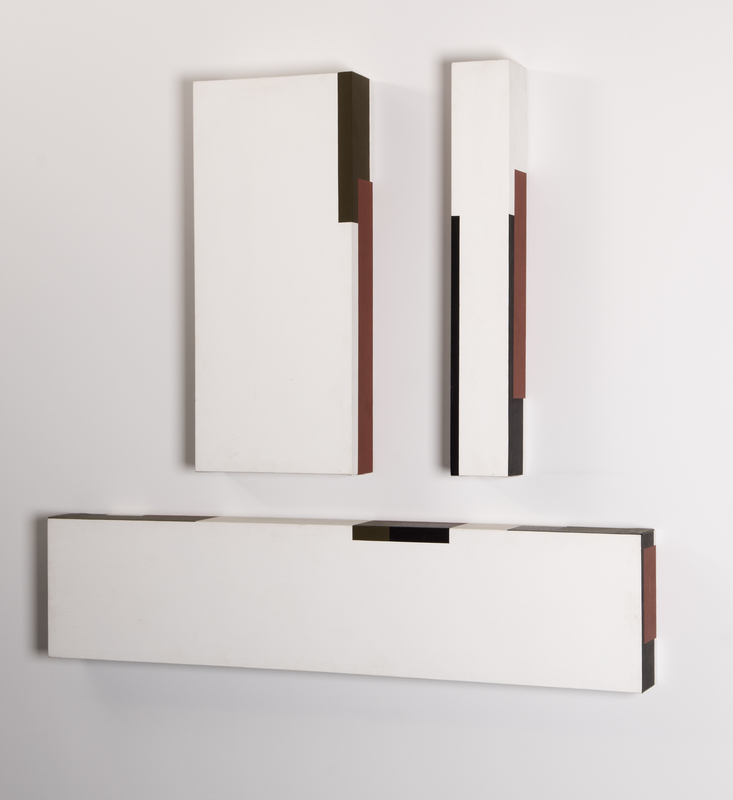 At the beginning of the 1990s, inspired by architectonic constructions, Paternosto produced a series of paintings with trimmed marks and openings in the shape of facades, doors and windows, as well as pigmented cement sculptures. These works were shown at Exit Art Gallery (New York, 1993). In 1994, he returned to the square frame with the series Post-Pórtico, and, in 1996, he produced the series Hilos de agua (most of them on paper) and Confluence. In these latter works, he organized vertical lines on white, ocher or red backgrounds, to create the rhythms and cadences of serial music. The series Marginality and Displacements (2002) was based on the placement of dark discontinuous bands around the edge of the work. In 2010, he made a monumental installation titled The Arrival on the ceiling of the Atocha railway station in Madrid. Since 2005, César Paternosto has lived in Segovia (Spain), where he continues painting and producing geometric metal sculptures. Grupo Sí- Group that brought together the first few exponents of Argentine informalism in the city of La Plata. It sprang from the Salón Estímulo (Stimulus Hall) at the Provincial Museum of Fine Art (1960) and held its last exhibition at the Buenos Aires Museum of Modern Art, with the support of Rafael Squirru (1961). Its members were: César Ambrossini, César Blanco, Nelson Blanco, Horacio Elena, Omar Gancedo, Saúl Larralde, Carlos Pacheco, Lalo Painceira, César Paternosto, Alejandro Puente, Horacio Ramírez, Roberto Rivas, Carlos Sánchez Vacca, Dalmiro Sirabo, Juan Antonio Sitro, Hugo Soubielle, Mario Stafforini and Antonio Trotta. César Paternosto. Marginalidad, desplazamientos y ritmos. Madrid: Guillermo de Osma Galería, 2006.